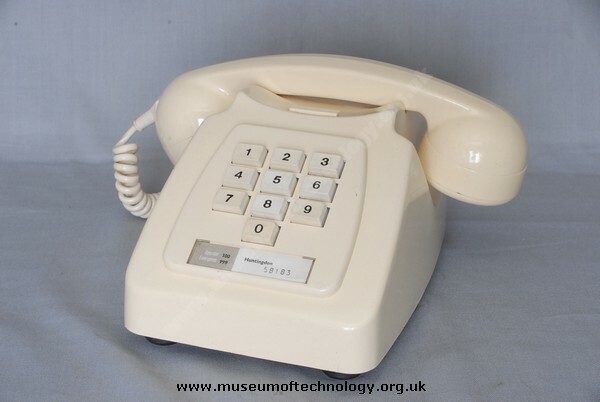 The 756 was a push button loop disconnect telephone first introduced in 1979, based on the 746 telephone. With the advent of new style wiring the 756 was renumbered the 8756 and was fitted with a 4000 ohm high impedance bell and a new style line cord fitted with a 431A plug. The 756 was initially available in two standard colours, ivory and grey, later a brown version was added.